Decorating a home to your heart's content can be a wonderful experience. Whether you’re choosing décor for your brand new home or looking to liven up your current living space, we’ve got you covered. Below we’ll explore the top 6 most popular interior designs styles for Spring/Summer 2019. With rents on the rise, more people are seeking affordable housing. Tiny-houses and micro-apartments are rising in demand as people realize how much money they can save. With that, Convertible Urban Dwelling furnishing is becoming very popular. Efficient and comfortable, this style helps you enjoy much more space in a limited area. Practical ideas such as Murphy beds, moveable walls, and multi-purpose built-in cabinets and cases can help transform a crowded area to a spacious sanctuary. 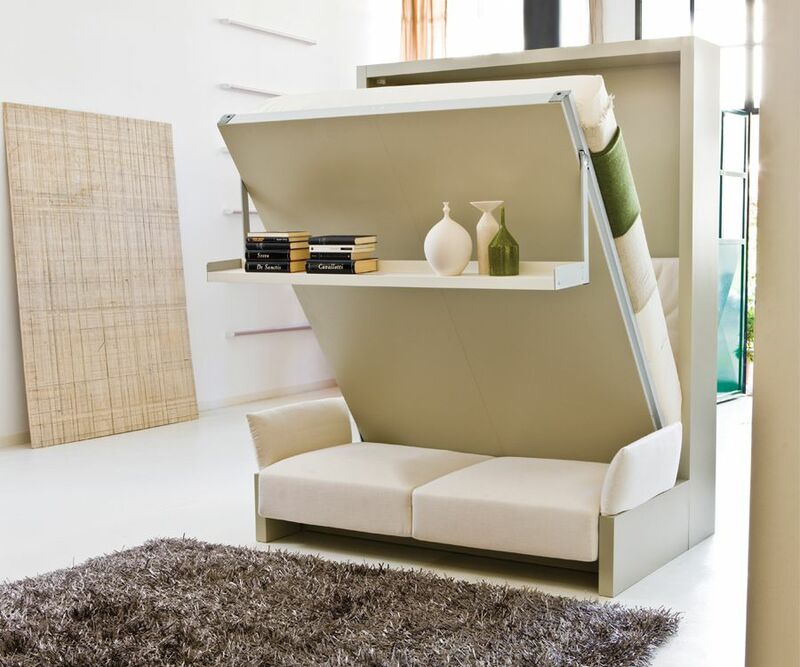 Creative use of space is vital for comfort and enjoyment in your living space. As more people gravitate to smaller living spaces, convertible urban dwelling will continue to flourish in demand. Say hello to Boho! The design is trending again in 2019, and we couldn’t be more excited. Full of bright colors and culture, Bohemian adds a touch of cheer to any area. This style is often characterized by contrasting different patterns and shapes among different rugs, throws, etc. A neutral base helps to keep the other décor from being too loud. 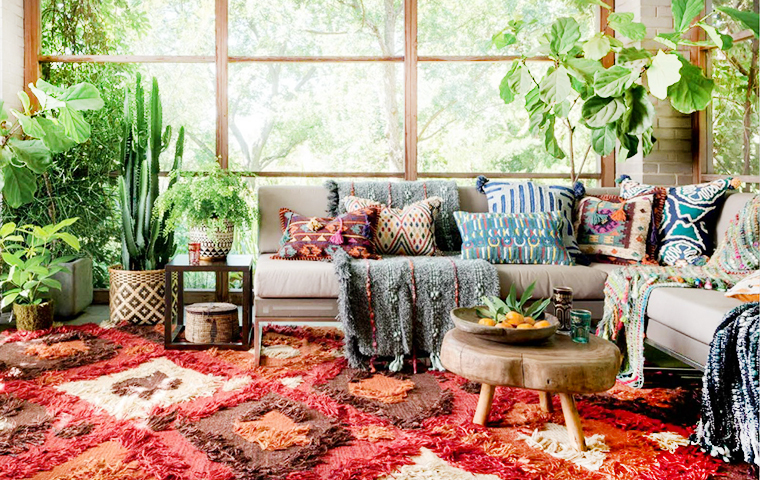 Bohemian is quite the opposite of minimalism. It’s about indulging the senses and the spirit. Trinkets and knick-knacks are embraced, and each displayed accessory has its own story, fitting together to create the perfect retreat. Add some low-lying furniture, some botanicals and voila! 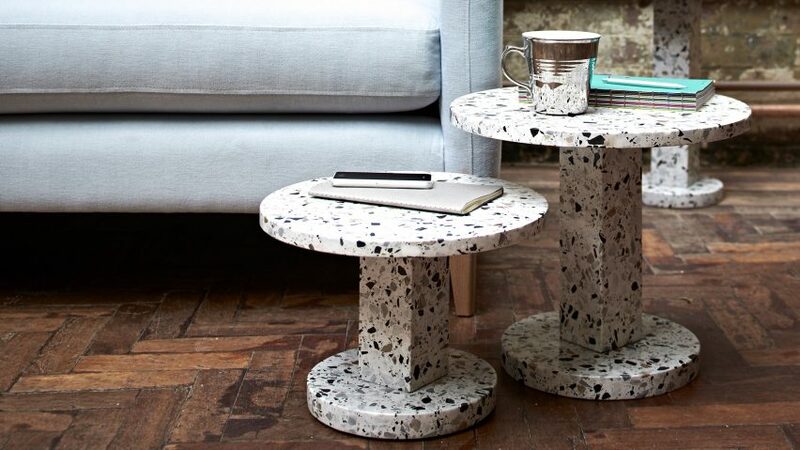 Boho is not the only style making another appearance this year; Terrazzo is too! Mid-century modern design continues to reign among some of the most popular styles (see our article on the top 6 most popular styles), and the look wouldn’t be complete without Terrazzo. Terrazzo is a composite material comprised of chips of quartz, marble, granite, glass or other similar material, and given a high polish. This style is the quintessence of fun with its confetti-like spirit. Fun fact: the origins of this design go all the way back to ancient Egypt. Terrazzo is proof that true style knows no time limits. The last time ceilings were given extra attention goes back to the ’20s. Now, almost a century later, ceilings are once again making a statement. 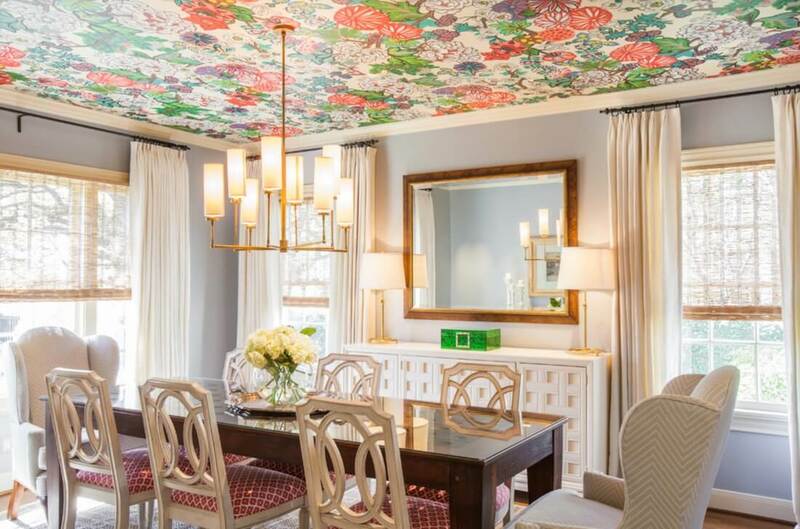 Whether they involve exciting wallpaper, fresh paint or covered in fascinating molding, ceilings are adding more flair to rooms. This characteristic can make any area seem bigger brighter, and truly more memorable. Some of the most popular décors include gold leaf, tile, a different paint color, or soft wood. If you feel your area is lacking something, try a statement ceiling! If you can dream it you can do it. As we continue to witness the effects of global warming, one of the best things we can do to help the earth is to make our spaces Eco-Friendly. Materials made from sustainable resources and engaging in sustainable practices and help you contribute to the earth’s health at home. Also, by including more green, you better your health and wellness. Another benefit of this style is improving your indoor air quality. Consider organic materials when looking for flooring or furniture. Use as much energy efficient and natural lighting as possible. Choose natural materials as accents for your space (i.,e. driftwood, stones, seashells). Plenty of plants will also help to improve your air. It’s a win-win for both you and our planet. 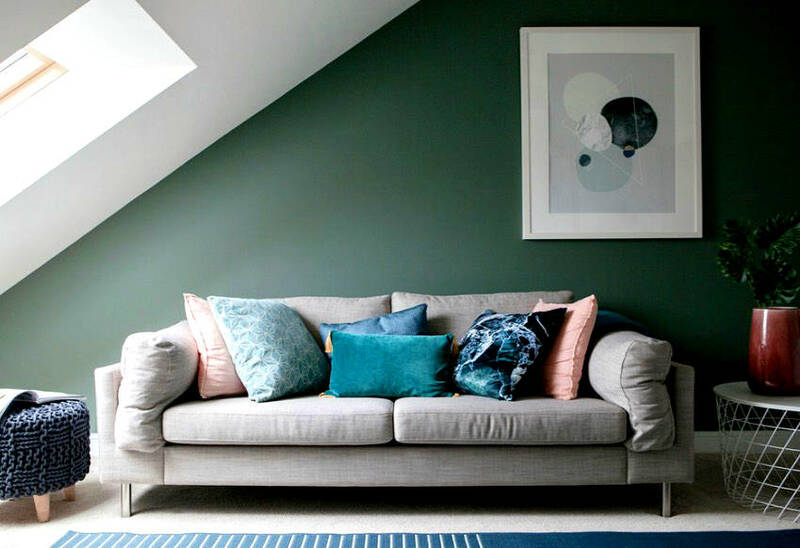 With Eco-Friendly trending, it doesn’t surprise us that Night Watch Green has been dubbed the color of 2019. A deep, jade-like green, beautiful NWG resembles the lively and lush green found in a forest. It provides a calming and euphoric feel to any area. It can be especially handy in areas where there is a lack of outdoor views. In an era where we are constantly rushing and plagued by endless stress, this color can provide similar relaxation to shelter and calm us from the crazy world. Who wouldn’t want a home brimming with peace and tranquility? We hope you enjoyed exploring the 2019’s top trends in interior design. We will be updating this site with the latest trends so stay tuned. And please be sure to check out our collection (link here) for some inspiration. Is this really a BANK?